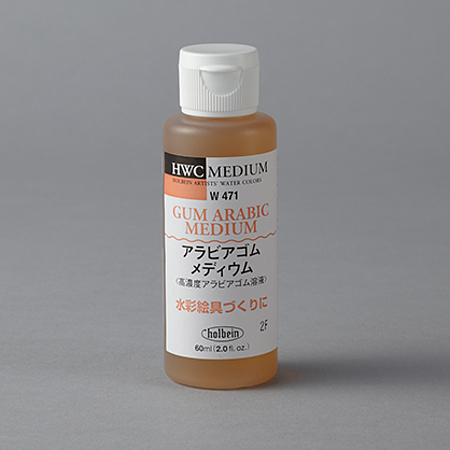 Arabian Rubber Medium is a medium to increase transparency of the watercolor paint. By mixing it with pigment paste or pigment, its transparency increases and its color tone becomes deep. In addition, one can create their own watercolor paint by kneading it with pigment. [How to Use] Mix with watercolor paint on the palette. Use without diluting much.